The Performance Management department is responsible for quality improvement programs, training, recruitment and hiring, human resources, accreditation, policy review, public information and audio reproduction. WCCCA is a learning organization and believes in promoting a Just Culture. Our two quality improvement programs (Performance QI and EMS QI) help us see “outside the box”, which allows us to come up with unique and innovative solutions to a variety of issues. The QI programs also help drive the training within our Agency. WCCCA successfully achieved accredited status in February of 2011 through the Oregon Accreditation Alliance (OAA). 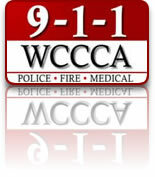 Accreditation reinforces WCCCA’s commitment to professionalism and promotes standardization of policies and procedures to ensure effectiveness and efficiency in the delivery of communication services for our community and user agencies. This department is staffed by 5 employees, which includes the Performance Manager, a Training Coordinator, a Human Resource Specialist, a Program Coordinator and a part-time Audio Reproduction Specialist.